Ken has worked on a variety of clients in the private and public sectors in various industries including construction, retail, manufacturing, municipalities and not-for-profit organizations. Apart from performing assurance and compilation engagements, Ken also provides income tax services and tax planning to both corporate and individual clients. 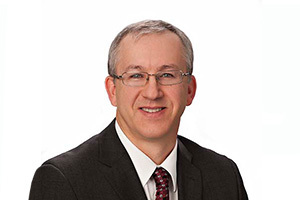 Ken began as a co-op student with Welch LLP in 1990. He graduated with a Bachelor of Mathematics degree from the University of Waterloo in 1991 and received his CA designation in 1993. Ken was promoted to Partner with the firm in 2013.